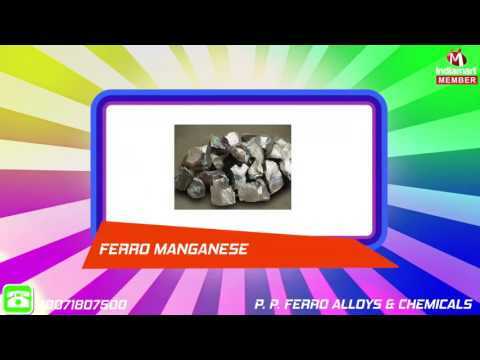 "P. P. Ferro Alloys & Chemicals" was established in the year 2006, and carved a niche as the leading trader of Ferro Alloys and Minerals. We offer our range from quality vendors. Our product range comprises Ferro Alloys, Insulating Castables and Fire Bricks and many more. Our products are of high quality and made in confirmation with the prescribed norms at the vendor%u2019s end. These products are offered at genuine prices, keeping the customer%u2019s needs in mind. We try our best to offer best product range, which can serve our patrons in an appropriate manner. We also provide customization packaging solution, which is as per the specific demands of our valuable clientele. Different payment options are given by us to the clients, so as to make the monetary transaction easy and hassle free.